i am so happy to team up with liv to teach for the magical product swap. this is my first one and it was a lot of fun. i have always loved the old lady series books and i am so happy to do her product for there was a cold lady who swallowed some snow. this book worked out great because we are doing a snowman unit this week. first we read the book and my kids absolutely loved it. there is so much that you can do to teach this book. we focused on sequencing and ordinal numbers and retelling. my kids loved it. 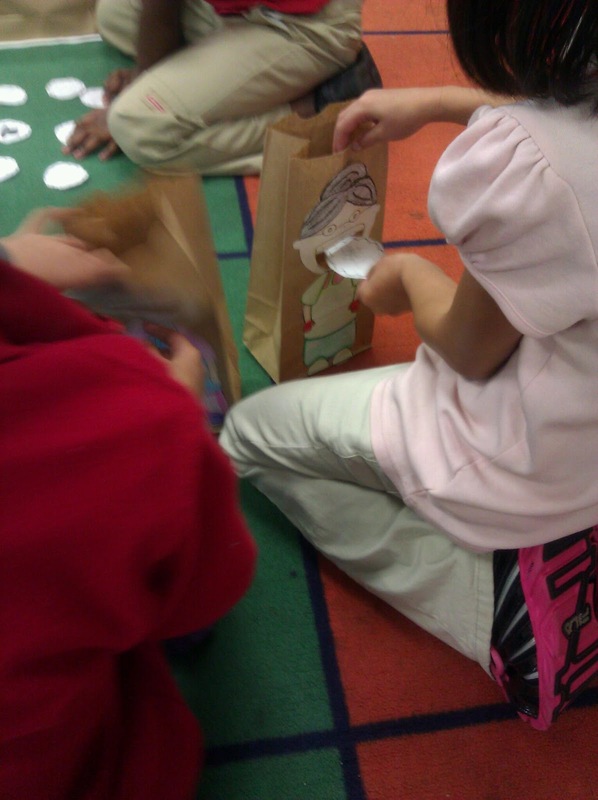 here are some pics of my kiddos during the activity. first they colored the pieces. 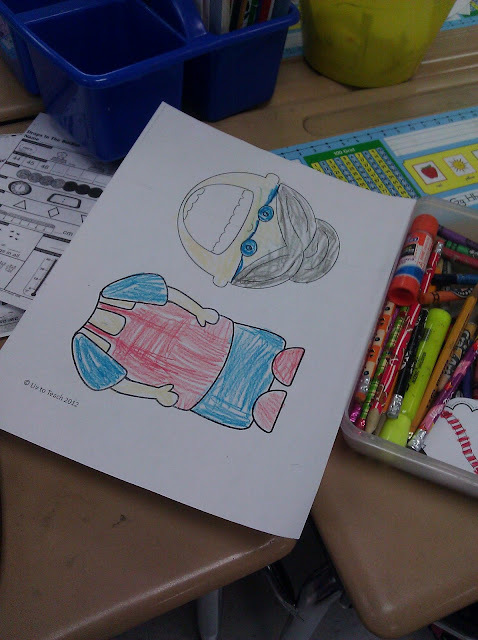 Then we wrote the ordinal numbers on the back of each piece. 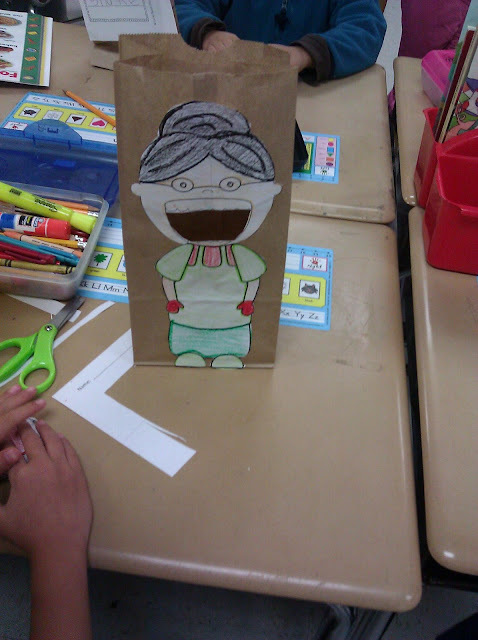 They cut them out and we glued the face on the paper bag. I helped them by cutting out the mouth. 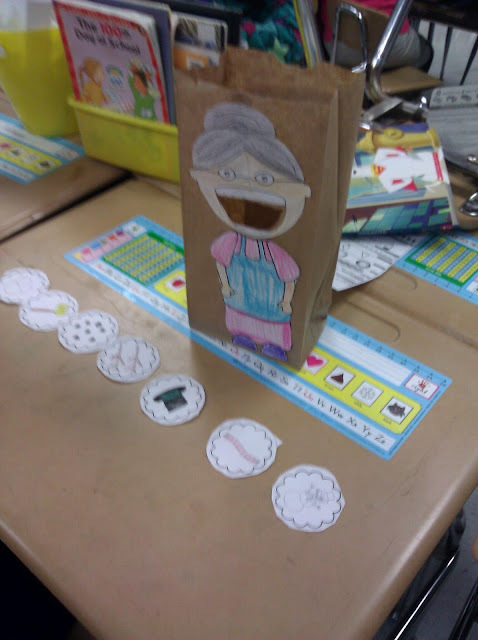 Then they were able to retell the story in their own words using the pieces and feeding it to the old lady. They had so much fun! 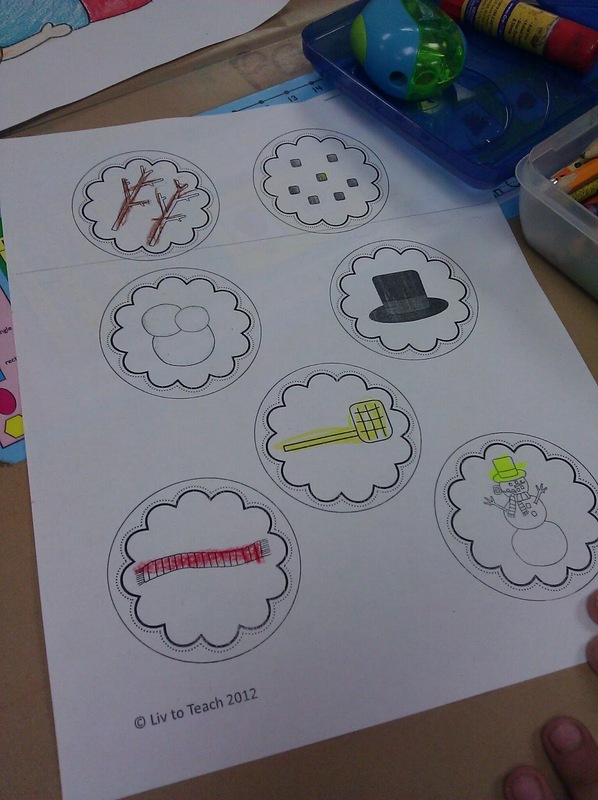 And I love how helpful this activity was. It made the story come to life because they were able to see her swallow the pieces. 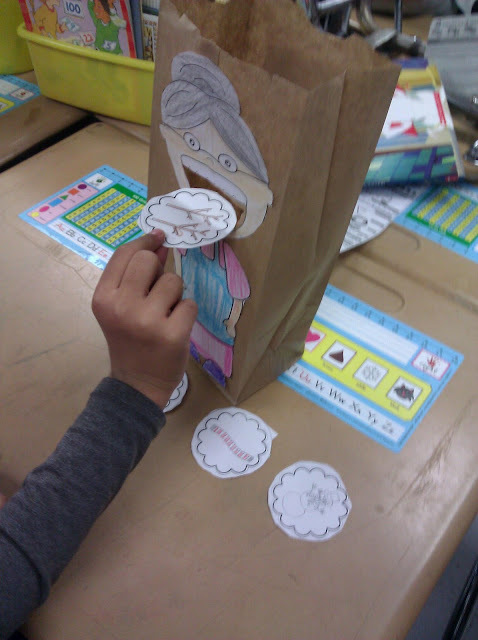 They were also able to think about what they would swallow if they were in the story. There are pages for the boys to be a cold man and the girls to be a cold lady. One student chose an apple. 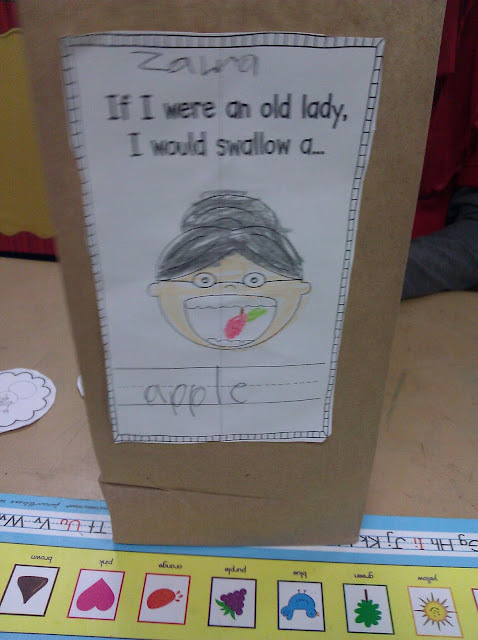 So she wrote the word apple and drew an apple in her mouth. What a fun day we had. Please check out liv to teach on tpt for more exciting products in this series and other great products. Found you through MrsMc's birthday giveaway - fantastic blog!